The courtroom in Courthouse East was packed as Circuit Judge Barry Williams took nearly 45 minutes to read why he found Goodson not guilty on all seven charges. Williams said the state did not prove that Officer William Porter told Goodson that Gray was in need of immediate medical care. That testimony undermined the state’s assertion that Goodson had failed to seek treatment earlier as he should have. Williams recalled Porter’s testimony during the trial that while Gray was lethargic and docile, he didn’t look like he was in medical distress. Prosecutors argued it was obvious that Gray was in need of medical care. But Williams said the type of injury Gray suffered would not be obvious to an average officer. He said the court was presented with a number of “equally plausible scenarios.” He discussed five that could have happened. The judge also addressed the prosecutors’ opening statement that Gray was subjected to a “rough ride,” where officers drive recklessly while transporting prisoners. Williams said that the term “rough ride” is an inflammatory one “requiring definition” and then observable evidence. He added no specific evidence was presented to prove the rough ride theory. A crowd of media and protesters stand outside of Courthouse East following the acquittal of Officer Caesar Goodson. 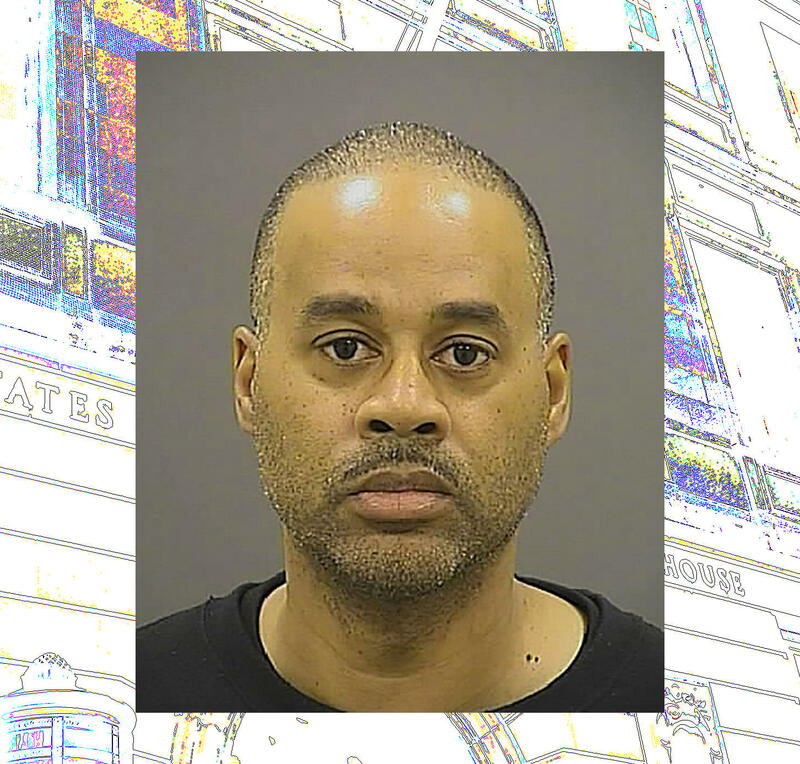 As the verdict was read, city State’s Attorney Marilyn Mosby lowered her head at times. Chief Deputy State’s Attorney Michael Schatzow was writing notes and Deputy State’s Attorney Janice Bledsoe sat back in her chair. This was the state’s third of six trials against the officers charged last year in Freddie Gray’s death from a fatal broken neck. The first trial against Officer William Porter ended last December in a hung jury. He is to be re-tried in September. In the second trial, Officer Edward Nero was acquitted of all of the charges by Judge Williams last May. Defense Attorney Warren Brown, who has watched the trial, said he is not surprised that Williams acquitted Goodson. Brown also notes that Williams, an African-American, used to prosecute police officers for the federal government before being appointed to the Maryland bench in 2005. And added there couldn’t have been a fairer person to adjudicate the case. “Throughout his opinion, he notably mentioned over and over that the state had failed to present evidence to support their contention. And so, therefore, it’s easy to understand how he could come to this decision,” Brown added. Former city prosecutor Warren Alperstein was not surprised either. He said Williams gave a preview during closing arguments when he pressed prosecutors over their rough ride theory. “It was a little bit of a foreshadowing, and ultimately Judge Williams cleared that up today, making it abundantly obvious that he didn’t buy the state’s arguments that there was rough ride, said Alperstein. Outside of the courthouse, a smattering of protesters chanted minutes before the verdict was announced. But when the verdict came, many said they knew what to expect. Baltimore resident Justin Sanders was among them. “I predicted this, and I think so did everybody, because this is what the system is designed to do. It’s not designed to favor an oppressed minority over a security force. It’s designed to get the security force off,” said Sanders. Protestors like Joshua Beasley, of Glen Burnie, decried what he a rigged called system that gives police freedoms they don’t feel like they have themselves. Angel Selah said her black and white face makeup represented a dividing line between Baltimore's black and white residents. She added the city shouldn't bother going through the trials of the remaining four officers charged in Freddie Gray's death. Harry Fitzgerald, of Park Heights, said the verdict was particularly sad for him because he could relate to Freddie Gray’s experience. Kamal KG Dorchy said he, too, could relate. He said he spent 15 years in prison for an armed robbery. Given his experiences with police, Gray’s experience could have been his. Dorchy said that not only was he surprised at Williams’ verdict in Goodson’s case, but he also expects the rest of the police officers facing trial following Gray’s death will be acquitted, as well. His companion, Angel Selah, called Gray’s death a modern-day lynching. She had a black bag strap tied around her neck, which she used to fake her own hanging. Her face bore black and white makeup which she said represented a dividing line between Baltimore’s black and white residents. NAACP President Cornel William Brooks called Gray’s death and Goodson’s acquittal tragedies. But the real tragedy, he said, is the longstanding tension between police and Baltimore’s black communities. Del. Curt Anderson, the head of Baltimore’s delegation in the Maryland House of Delegates, said Goodson’s trial and the trials of the other officers involved in Gray’s death showed that the justice system works. “They had a fair and impartial judge listen to the facts, and the judge came to the conclusion that the state had not presented enough evidence to find him guilty,” Anderson said. “Basically that's the definition of what justice is in our criminal justice system." City Fraternal Order of Police President Gene Ryan said his group is “very pleased and extremely grateful” that Goodson was acquitted. Ryan accused Mosby of playing politics with police; making it hard for officers to do their jobs. Because of Judge Williams’ gag order, Mosby, prosecutors, Goodson, nor defense attorneys have not offered any formal reactions to the case. A Baltimore judge is poised to deliver his verdict in the murder trial of an officer who drove the police van where a black arrestee's neck was broken, triggering some of the worst riots the city has ever seen. Caesar Goodson was charged with murder, manslaughter, assault, reckless endangerment and misconduct in office. 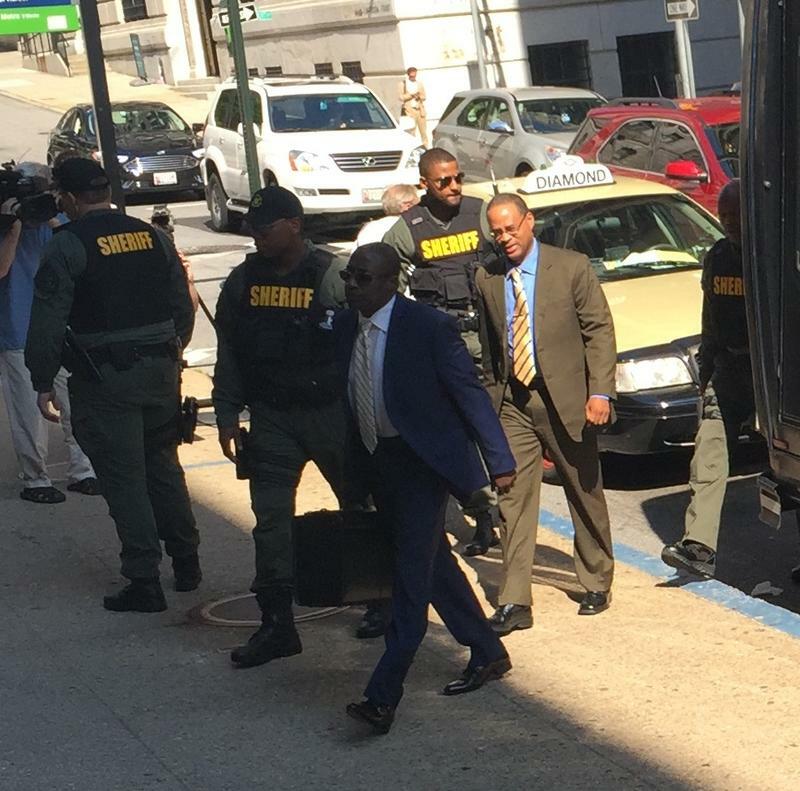 Baltimore Circuit Judge Barry Williams was sharply critical Monday morning of prosecutors who argued that Officer Caesar Goodson gave Freddie Gray a rough ride in the back of his police van that lead to a fatal spine injury. Goodson Trial: Can prosecutors close the case? Closing arguments in the trial of Officer Caesar Goodson are scheduled Monday morning before Baltimore Circuit Judge Barry Williams. 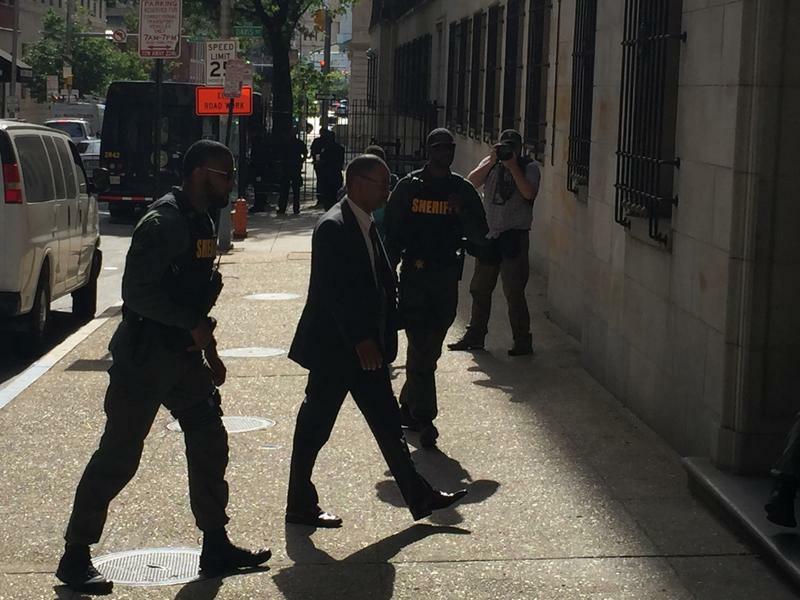 Goodson faces the most serious charges in the death of Freddie Gray; second degree depraved heart murder, criminal negligent vehicular manslaughter, gross negligent vehicular manslaughter, involuntary manslaughter, misconduct in office and reckless endangerment. But the state has had a hard time thus far proving its case against the officer it has charged.